Growing up "Military Brat" or "TCK" has a profound effect on an individual's life. It shapes the way one thinks, feels, and behaves; as a child and as an adult. For over 15 years, Brats Without Borders has been a voice for this invisible subculture, whose numbers are in the millions. We were the first 501(c)(3) nonprofit run by brats and for brats of all ages and branches of service, and in many ways, we still are. Welcome to our site! 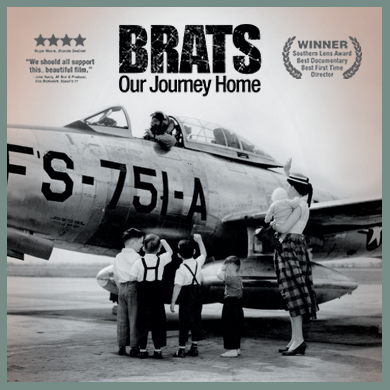 Explore the life of brats and TCKs. Find out ways you can give back to your tribe. You may not be "from" a particular geographical location, but you do belong to a wonderful, global, borderless nation of individuals just like you. Welcome home. Find out about our organization and mission. Learn our history. Meet our volunteers and supporters. The award-winning feature documentary about growing up military. Narration and songs by Kris Kristofferson. Art camps & workshops for serious military brat art enthusiasts. Make art, while exploring the Brat Culture. The strange, but interesting life of Military Brats and Third Culture Kids and how it affects their adult lives. The first contemporary art exhibit exploring the American Military B.R.A.T. from 1950-present. 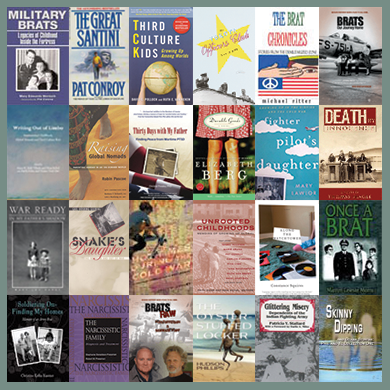 Educational workshops teaching parents, teens & professionals about Military Brat Culture. A documentary work-in-progress about healing the inter-generational effects of war and PTSD. A safe place for military brats and TCKs to gather, grow, and support each other. For kids and adults. A documentary work-in-progress about the long-term effects of growing up in a multicultural world. The uncut BRATS film interviews of songwriter Kris Kristofferson and General Norman Schwarzkopf. Films, books, music, and art that explore brat/TCK life. Alumni and other brat/TCK organizations. Join your online "family," Brats Without Borders! Support our films, projects, and programs. Banner photo courtesy of the Daniel LeValley Family.